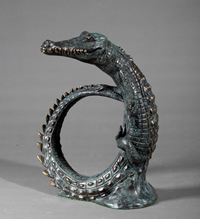 Click on the icon next to a Commission to view a photograph of that item. 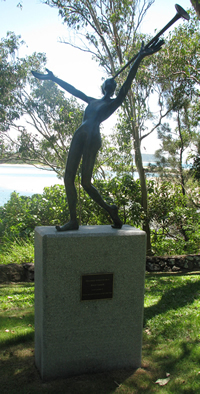 The Clem Jones Group – Bronze bust – "Clem Jones"
Currumbin Beach – Bronze – "Joie de Vivre"
Ingles Group – Piece Unique - 2.1 metre heigh Bronze Statue. 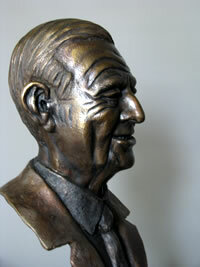 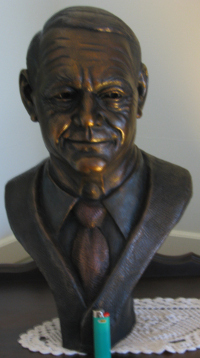 Ramsay Healthcare – Bronze Bust of company CEO. 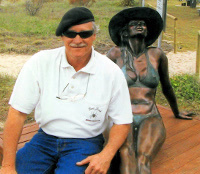 Gold Coast City Council – Grand Award Winner – "Sun Spirit"
Currumbin, Qld – Bronze – "Sun Spirit" – public display. 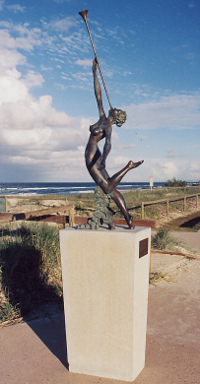 Gold Coast City Council – Bronze "Melody" – Main Beach, Surfers Paradise – Qld. 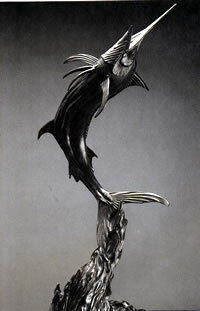 Mawenzi Properties – Life-size Cheetah – Bronze – "In Full Flight"
Barlow Rand Mining – Service Award – Bronze "Fish Eagle"
J & B Challenge – Game Fishing Trophy – Bronze "Black Marlin". 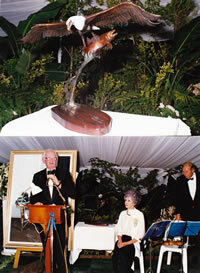 South African Paper & Pulp Industries – Company Awards – Bronze "Pied Kingfishers"
Laminate Industries – Company Award – Bronze "Black Eagle". 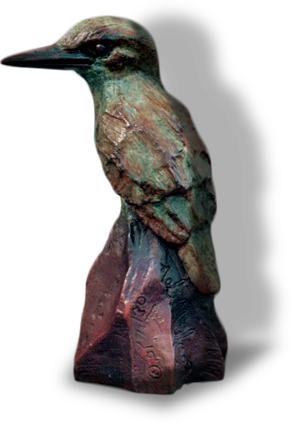 Barlow Rand Mining – Service Award - Bronze sculpture - "Malachite Kingfisher". 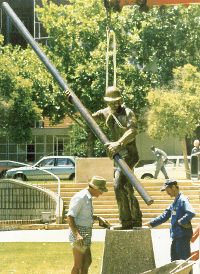 The Johannesburg Child Welfare Society – Bronze Sculpture – "Destiny"
Huletts Aluminium – Limited Edition Corporate Award Bronzes - "Brown hooded Kingfisher"
Pietersburg Town Council – Commemorative Bronze, "Labor Omnia Vincit" - 3metre heigh. 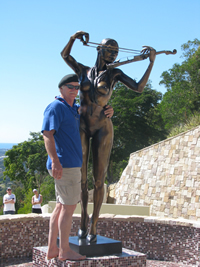 Bruce Fordyce (Marathon champion) – Bronze Sculpture - "The Winner". 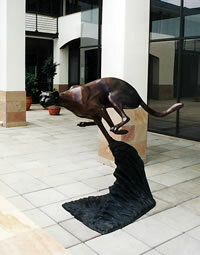 The Wildlife Society of Southern Africa – Bronze Plaque – "Golden Eagle".